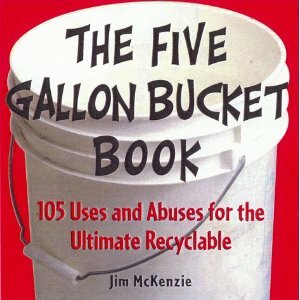 It looks like I’m not the first person to start publishing five gallon bucket uses! This guy beat me to the topic by about 12 years, which is half my lifetime so far. I only buy about two books a year, and this was one of them this year. Used copies can be had very cheaply over on Amazon. I only paid about 5 bucks for the book, and honestly that’s about what it’s worth. Many of the ideas are jokes, although about 40% of them are interesting. I would give this book 3 1/2 stars out of 5.